When I was little, 11 or 12, I secretly hoped I didn’t inherit my mom’s body. She hated it, and so did I. Although I don’t think she was ever diagnosed with one, I think she struggled with eating disorders her entire life. She took diet pills in the 80s– the type that were later banned– and substituted her meals with diet shakes. Her breakfast was often a diet cola and a cigarette. Later on she changed her lifestyle and became very healthy. Brown rice and other whole grains, tofu and steamed vegetables became staples in our home. She exercised daily. She was still obsessed with her weight, but at least she was living a healthier life. 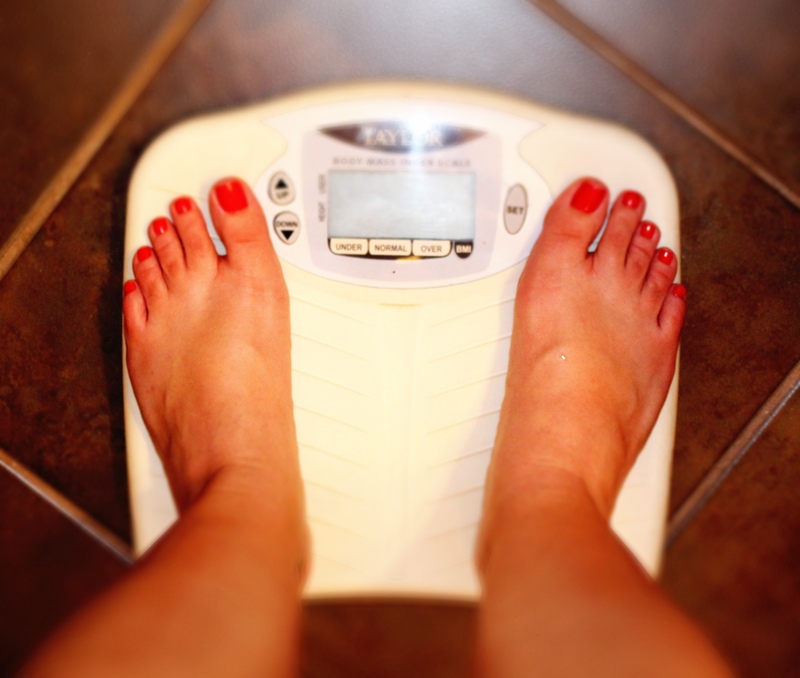 In my home a healthy lifestyle is more important than the numbers on the scale. By the time I was in my teens I was a little chubby, I never really cared much, though. I loved to eat, enjoyed the flavors and the companionship of a shared meal, and somehow my mom’s hate for her own body had not affected my own self-esteem. I knew I was chubby, I just didn’t mind enough to eat less. I did often wish I was tall and thin, just like my sister; And I sometimes wore her jeans, which were too long on me and so tight that at least two pairs ripped as I was sitting down– sorry! Now in my mid-30’s, I have never dieted. I like my body, its imperfections make it mine. I owe my good body image to my mom. She never refered to my weight or body in a negative way, and she was always caring, supportive and positive about my love for food and cooking. I remember coming back from camp one year– I had indulged every night on pizza after dinner, and peanut butter and jelly sandwiches as dessert after lunch, I had also exercised quite a bit– she pointed out how strong I was, not my weight gain. A doctor prescribed me natural weight loss supplements as a way to manage my scoliosis, she told me not to take them after she realized that they made me have nausea after eating. I could exercise instead, she said, and make my back muscles strong. I am sure she made our meals healthier, but she never made that noticeable to me. In the last couple of weeks I have read several articles about how mom’s body issues affect their daughters. I know they do, and I am sure it would have been much better if my mom had never spoken ill of her body, especially in front of my sister and me. Through her love and support, however, she was able to give me the strength to love my own body, and not fall for touched-up images of models and celebrities. She also taught me about health foods and cooking, which has given me the tools to take care of myself and my family. In my home we watch what we eat for its health and nutrition value. I always look at ingredient labels because I don’t want to eat preservatives, colors or other unnecessary artificial ingredients, but I never look at the calories on the nutrition charts. As my kids grow up, I know I’ll strive for a healthy family, not one where numbers on a scale are important. The words “fat” and “skinny” are already being replaced. I much rather refer to someone as healthy and full of energy. I have probably inherited my mom’s body, and it is strong and healthy. Thanks to her, I did not inherit her body image. What a wonderful post Olivia! I was so touched. I also wondered if I will too inherit my mom’s body and how I wish it didn’t happen…..but probably it will….you totally put a positive spin on things and I love you for that! You are definitely a great role model! Thank you, Giota! Thanks for reading Lemon Water. Haha! Well, I was and have been through my life at different points, and it is OK. Thanks for reading!